In news that shook the Levant, Trump once again announced that he’s leaving Syria, days after the last urban enclave held by ISIS fell to SDF forces. But unlike other times where he then backtracked due to pressure, this occurrence seems more serious since it led to the resignation of some officials related to the theater, the most prominent being Secretary of Defense Mattis. Their main gripe is that this move exposes the SDF, which closely worked with the US against the Islamic State, to attacks by Turkey. Those who hold this fear, while justified, can rest easy at least in the short term given Erdogan announced that his military operation East of the Euphrates will be delayed after a phone call with Trump. Nonetheless, this move marks the beginning of the ‘unfreezing’ of the Syrian conflict, and Turkey is expected to take a bigger role and pivot back to a pro-US position given the Kurdish issue seems to be resolved. In further news, Trump announced the withdrawal of 7,000 US soldiers from Afghanistan. This announcement comes on the heel of a lackluster summit with the Taliban in which Russia was also a participant. The fact that Russia, a nation with no soldiers in Afghanistan, sat on the same table as the US compounded by the lack of progress on any meaningful front in Afghanistan probably helped precipitate this draw down. This move is consistent with Trump’s policy of having local actors take a larger role in maintaining regional security, as someone has to step in to keep the Taliban contained. Saudi 2019 budget has 7% spending increase, while oil prices are still falling. Iraq granted 90 day waiver extension. Iraq working to diversify power and gas imports away from Iran, as it is overly reliant on her. Abu Dhabi announces 4 Billion$ bailout to Pakistan. On the heels of Saudi support to Pakistan in past weeks. As yellow vest protests are still ongoing, albeit less severely than in past weeks, France is still grappling with the new realities which the street forced upon the government. For starters, the French have announced the implementation of a digital tax starting next year to help plug the 10 Billion$ hole in their budget due to the cancellation of the gas tax. While this tax is expected to only make 500 Million$,which will barely dent that hole, another bonus to this tax is that 85% of French people support it thus giving Macron’s government some more ‘street cred’. France will be the third country in Europe after the UK and Spain to implement its own digital tax, after EU-wide attempts to levy one failed. However, in a surprising statement, the EU Budget Commissioner asked for the launch of EU deficit procedures against France due to these new fiscal measures. 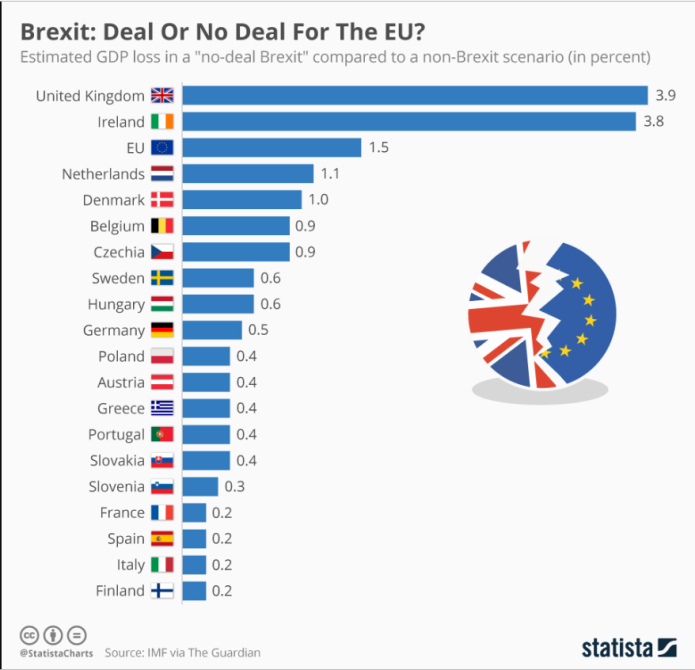 It remains to be seen if this is (more likely) nothing but talk to appease Italy, or the start of another showdown between the EU and a member state. Protests in Hungary due to labor reform meant to combat labor shortages. 93% of industrial companies in Hungary report labor shortage. Trend less accentuated in other Central European nations, but exists. Italy and EU compromise on 2.04% deficit target, a number the EU previously found unacceptable. Likely due to French violation of fiscal rules. IMF approves 3.9 Billion$ economic agreement with Ukraine. 1.4 Billion$ immediately available. Following months of negotiations between three Russian companies and the US on overhauling their board of directors and reducing an oligarch’s stake in these bodies, the US is to lift sanctions on these companies. These sanctions affected global aluminium prices. In same day, US introduced sanctions on about a dozen GRU officials. Sweden is still without a government in an unprecedented crisis. The India-China tussle is a regional competition that doesn’t grab much headlines, but is still as dramatic as any competition between two regional powers. As this competition is fought in the Indian Ocean, with India attempting to secure the bodies of water it depends on and China working to make sure its sea routes are uninterrupted, the island nations that occupy the Indian Ocean are the first to feel the effects of this tug of war. This week marked the end of a crisis in Sri Lanka, which started when the President sacked the Prime Minister and attempted to appoint an ex-PM that was very friendly to China. The crisis was solved as this ‘new’ PM resigned due to internal pressure by Parliament and the courts, which resulted in the appointment of a new government that is much less pro-China. While the crisis started due to internal politicking and had little to do with the China-India competition, this internal crisis quickly put India on edge and took on outsize significance. In other news related to this theatre, India recently announced a 1.4 billion$ economic aid package destined to the Maldives. This island nation tilted towards China under the past President, and this attempt is a move by India to regain lost ground. NK-SK relationship cooling down. Poll conducted in South Korea shows decrease in trust from its citizens towards North Korea. However, joint road inspection still proceeding as planned. Report by South Korean Asan Institute for Policy Studies claims the North Korean economy will crumble “sooner than expected”. Czech republic bans Huawei from government offices. Deutsche Telecomm and France’s Orange follow suit too. Third Canadian whose identity is not known was arrested in relation to the Huawei tussle. South China Morning post reports bilateral trade negotiations between these two nations have stopped. China instructs Guangdong province to stop releasing PMI index. Guangdong province is heavily dependent on exports. China conducts first test of the JL-3 solid fuel missile, a submarine launched ballistic missile. China launched first low-orbit broadband communications satellite. Indonesia opens military base on South China Sea island. Russia builds new military barracks on disputed island chain. Japan files protest. Brazil launches its first domestically produced attack submarine. Venezuela announces civil militia now has 1.6 million members, tripling in size since January. This is probably due to a lack of employment opportunities outside government bodies. Reciprocal Access to Tibet Act signed. Allows US to impose visa bans on Chinese officials who forbid US citizens from visiting Tibet.